(UPDATED) Filipino ring legend Manny "Pacman" Pacquiao added another chapter to his legendary professional boxing career. The fighting senator from the Philippines retained his World Boxing Association world welterweight belt by outpointing American challenger Adrien Broner in their showdown at the MGM Grand Garden Arena in Las Vegas on Saturday (Sunday in Manila). 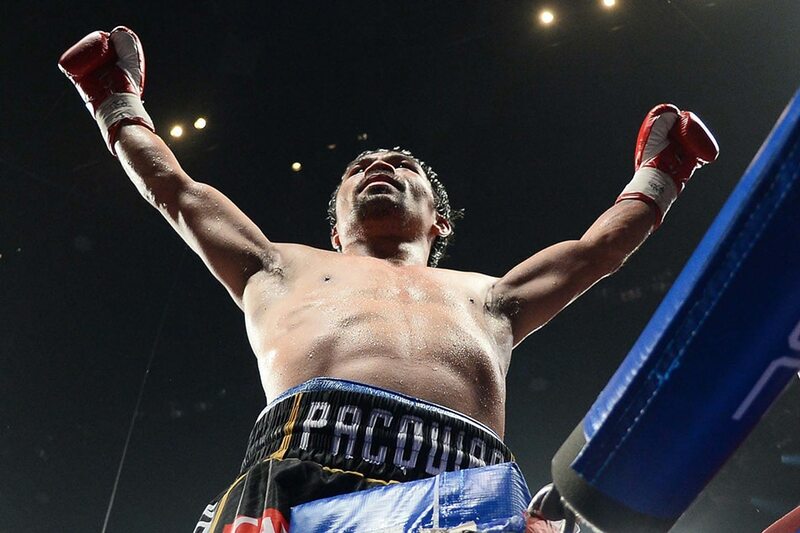 Judges scored the bout 117-111, 116-112, and 116-112, giving the 40-year-old Pacquiao the victory via unanimous decision. 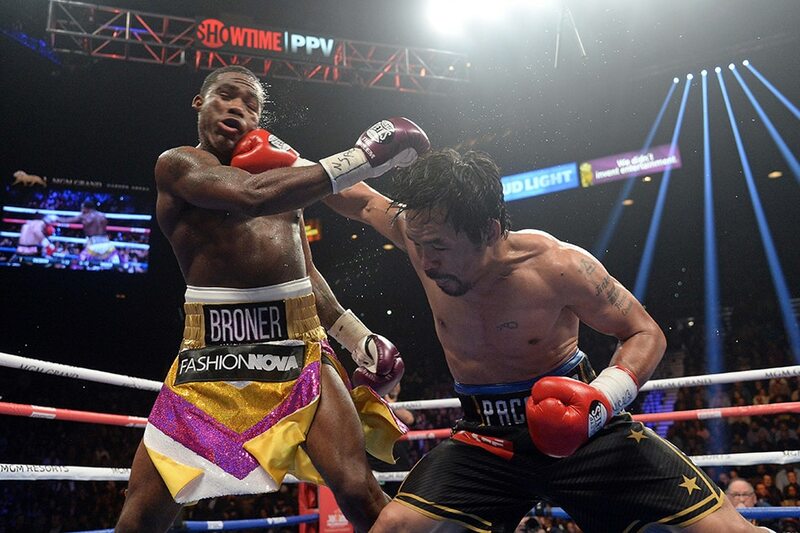 Broner, nicknamed "The Problem," provided little trouble for Pacquiao as the Filipino champion landed a steady stream of left hands that repeatedly rocked the American and pushed him against the ropes. The challenger, in contrast, barely landed punches and was loudly booed by the Las Vegas crowd in the 11th round as he danced away from the "Pacman." "I feel so happy, because I did my best in the fight and also in training," said Pacquiao after the bout. "We did a lot in training camp, so thank God for this victory." After a slow first round, Pacquiao found his rhythm in the second round and kept the pressure on Broner all throughout. The Filipino star landed a huge left hand that stunned Broner in the seventh, forcing the American to the ropes where he could only cover up as Pacquiao teed off. Broner was forced to clinch several times in that round, even as Pacquiao landed a flurry of shots. Both fighters were fairly inactive in the eighth round before Pacquiao again got Broner in trouble in the ninth, landing a massive left straight that had the challenger staggering backwards. Forced once again to the ropes, Broner absorbed punishment from Pacquiao before managing to circle out of trouble. Pacquiao, displaying tremendous savvy, kept pressing the action in the final three rounds but Broner only repeatedly danced out of danger, much to the dismay of the sold-out crowd at MGM Grand. "I wanted to push more," Pacquiao said when asked if he was trying for a knockout. "But my trainer Buboy (Fernandez) said that do not be careless, just take your time." This was Pacquiao's first defense of the regular WBA title that he won last July 2018 after stopping Argentina's Lucas Matthysse in Kuala Lumpur, Malaysia. With the triumph, the Filipino ring legend improved his professional boxing record to 61 wins, 7 losses, and 2 draws. Broner, 11 years younger than Pacquiao, dropped to 33-4-1, 1 NC. Pacquiao has now won back-to-back bouts since a controversial loss to Australia's Jeff Horn in July 2017, and the only 8-division world champion in boxing history maintained that his career was far from over. "I really don't believe that my career is over. I proved it in my last fight, and now I proved it again at the age of 40. 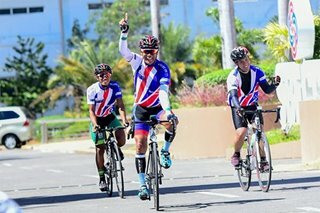 Manny Pacquiao's journey still continues," he said. Whether that journey includes another big-money showdown with American superstar Floyd Mayweather Jr. remains to be seen, however. Mayweather was among the 13,000-strong crowd at the venue on fight night, and Pacquiao expressed his gratitude to Mayweather Promotions for helping in organizing the Broner match. When asked about a Mayweather rematch, Pacquiao just said: "Tell him to come back to the ring, and we will fight." Mayweather has not fought a sanctioned match since stopping Conor McGregor in August 2017; his bout against Japanese kickboxer Tenshin Nasukawa on New Year's Eve was billed as an exhibition. Broner, meanwhile, was irate at the result and insisted he was the rightful winner. "I beat him. Everybody out there knows I beat him. I controlled the fight. He was missing. I hit him clean more times. I beat him," he declared in a profanity-laced interview. According to CompuBox, Broner landed less than ten punches in each of the first 11 rounds of the fight.